The Herschels were one of the greatest astronomical families of all time. A partnership of two brothers and a sister built the best telescopes of their time, and with those telescopes mapped the deep sky. 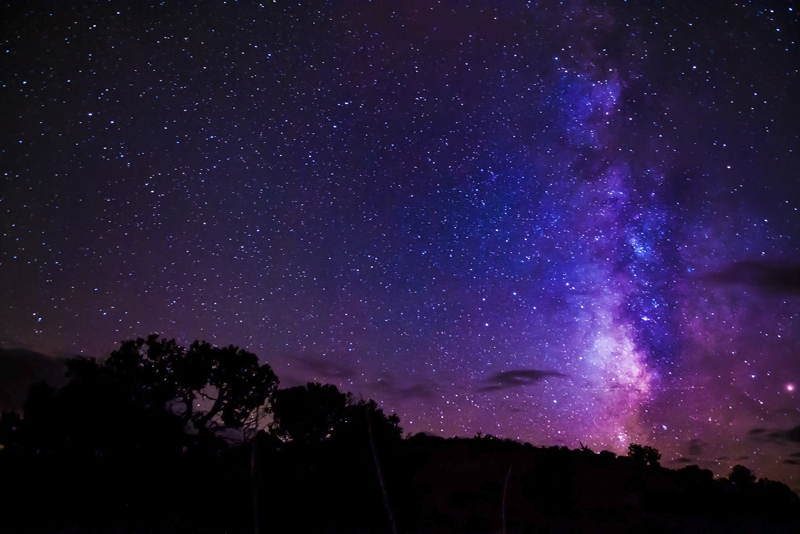 They changed the way astronomers understood the heavens. The parents of this outstanding trio, Isaac and Anna, lived in Hanover, Germany in the 18th century. Isaac was a military bandsman who was interested in science and philosophy. Anna couldn't read or write and didn't approve of education, especially for girls. Isaac taught his four sons music, and sent them and their two sisters to school. The boys all became professional musicians. The elder daughter married a musician and her sons also became professional musicians. William Herschel (1738-1822) was the second son of the family. As well as his musical ability, he was good at math and languages, and he was curious about the world around him. When the two elder sons were teenagers, war came to Hanover, and Isaac sent them to England. William liked it so much, he stayed. He ended up in Bath in the south of England, where he made a good living as a performer, music teacher and composer. Alexander Herschel (1745-1821) went to Bath in 1769 to live with his brother for two years. During the fashionable season from fall to Easter, there was plenty of work in Bath for a good musician. Alexander's two-year stay in England turned into nearly fifty years. Caroline Herschel (1750-1848) was very intelligent and quick to learn. This delighted her father Isaac, and the two were very close. However her mother Anna saw a girl-child with a face scarred from smallpox, who wasn't going to get a husband. She decided that Caroline would be her household help. When Isaac died, Anna and her eldest son treated Caroline like a servant. Fortunately, William rescued her by suggesting that she come to Bath to be trained as a singer. Anna objected until he offered to pay for a servant to replace his sister. William spent some time teaching Caroline music. She had a lovely voice and performed in Bath. But then William got much more interested in astronomy than in music. He read about astronomy and made his own telescopes. In March 1781 William was observing in the back yard when he thought that he had found a comet. It turned out to be a brand new planet. 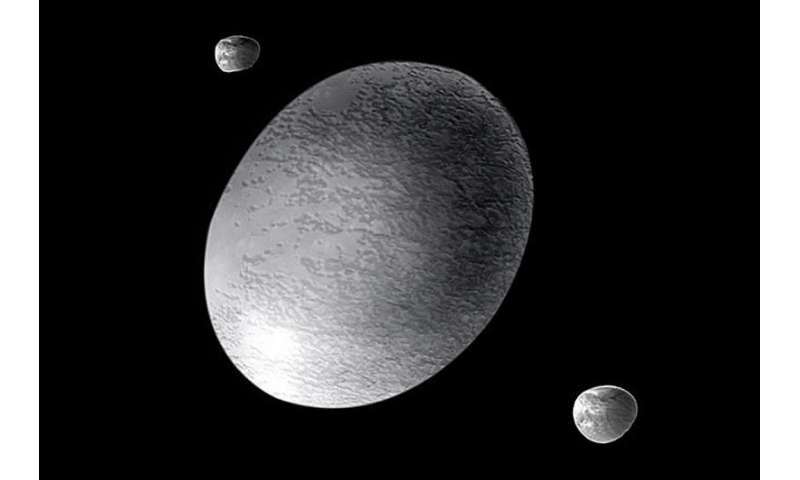 We know it now as Uranus and its discovery doubled the size of the known Solar System. Although Alexander didn't do any serious observing, he was very good with his hands and making mechanical things. William made lenses and mirrors, but Alexander was helpful with the fittings. Fittings may not sound like much, but even the telescope he used to discover Uranus was seven feet (2 m) long – small compared to his later ones. 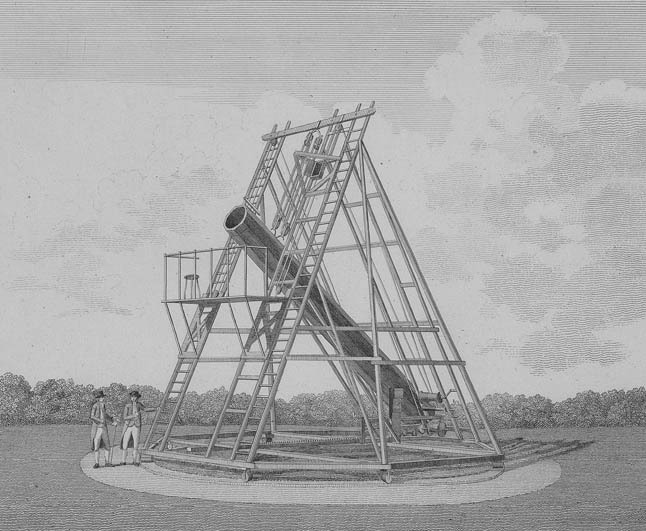 William's most famous telescope had a tube 40 feet (12 m) long. The King of England was George III. He was also the ruler of Hanover where the Herschels came from. William originally named the new planet George's Star after the king, and the king gave William the job of King's Astronomer. The salary wasn't much, but the only work involved was showing the sky to members of the royal family and their guests. Since William already had a reputation for the excellence of his telescopes, he would also be able to sell those. William and Caroline had to move closer to Windsor to be near the royal family. Alexander used to join them in the summer when Bath was quiet. William also gave his sister a telescope and taught her to search the skies and record things of interest. In those days, even with a telescope, nebulae were just fuzzy blobs. Nebulae is Latin for clouds. There was a catalog with about a hundred of them - so astronomers didn't get them confused with comets. But Caroline discovered some new nebulae and William started to wonder what they were. William built a 20-foot telescope to search the skies to make a complete catalog of nebulae. He needed a big telescope because they were so faint and far away. As he observed, he called out his comments, and Caroline wrote them down. Later she used her notes to calculate the position of each object and write out the comments neatly. Together they catalogued 2500 nebulae. 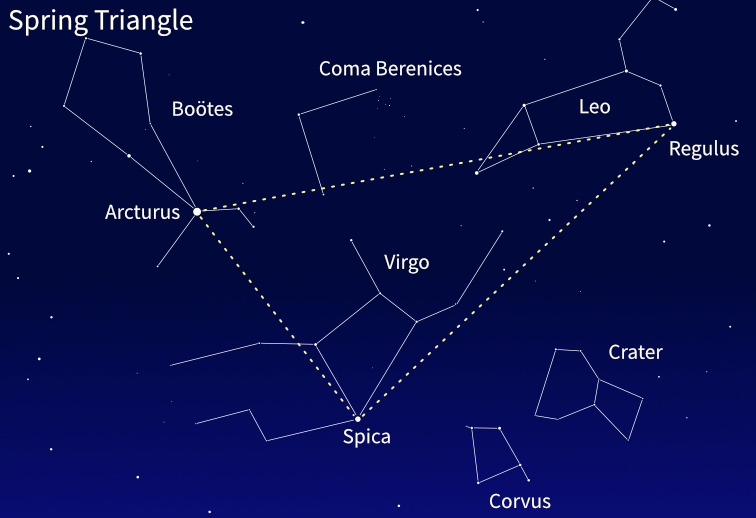 Today we call the nebulae deep-sky objects. Some are true nebulae, giant clouds of gas and dust. Others are clusters of stars, and some are distant galaxies. Caroline discovered a number of them, as well as eight comets. Discovering Uranus earned William Herschel fame. But his important contribution to science was asking questions and using observation to look for answers. He was the first to study double stars, and the first to use scientific means to try to work out the shape of our Galaxy. He discovered infrared radiation, the first known "invisible light". The nebula survey was the foundation for an important area of astronomy.